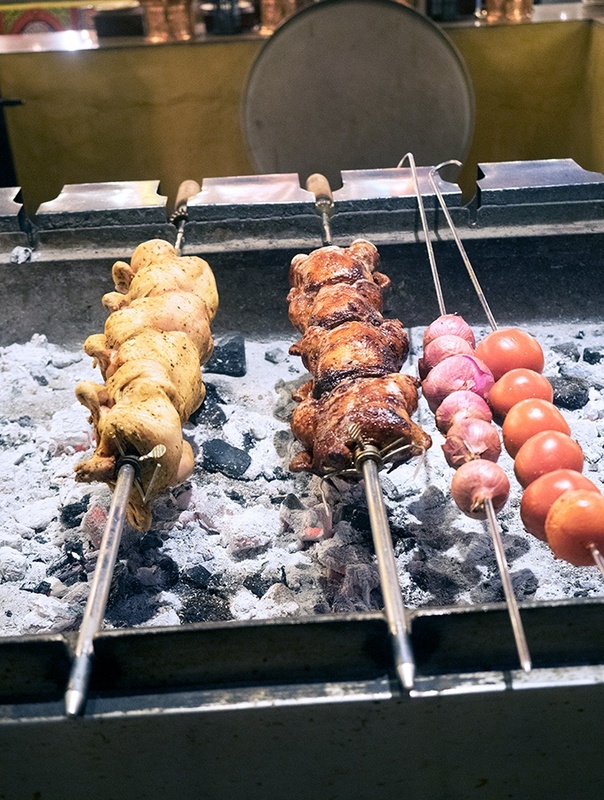 Al Hadheerah Desert Restaurant is a 55 minute drive from CBD of Dubai. An Arabian eating oasis nestled in the heart of the desert. 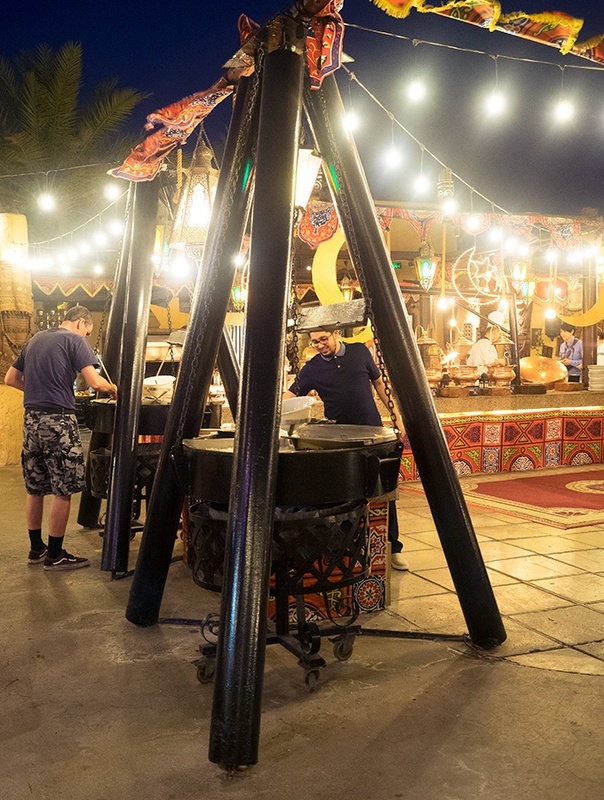 If you are after a dining experience that will whisk you away to a land of Arabian delights, then Al Hadheerah Desert Restaurant is a must visit. The award winning Al Hadheerah is far more than just a restaurant, it is a destination in itself. 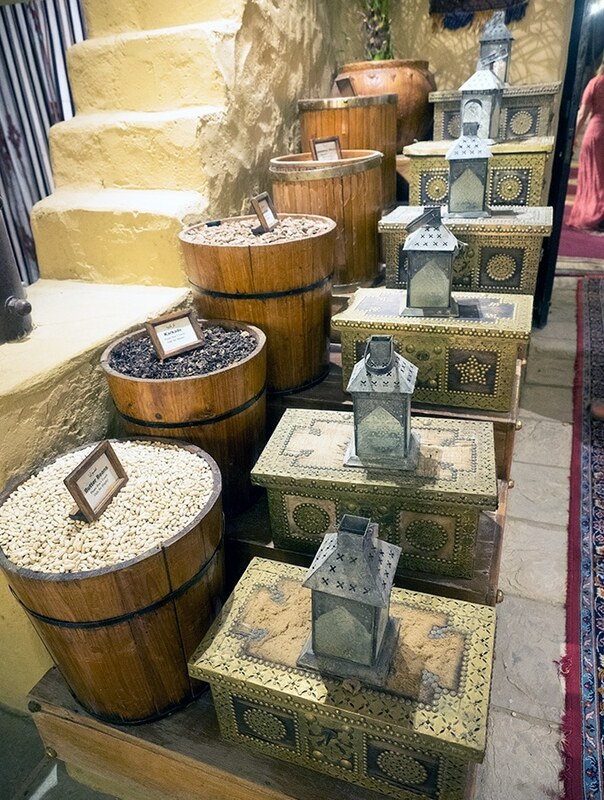 Al Hadheerah Desert Restaurant is part of the Bab Al Shams Resort and Spa. 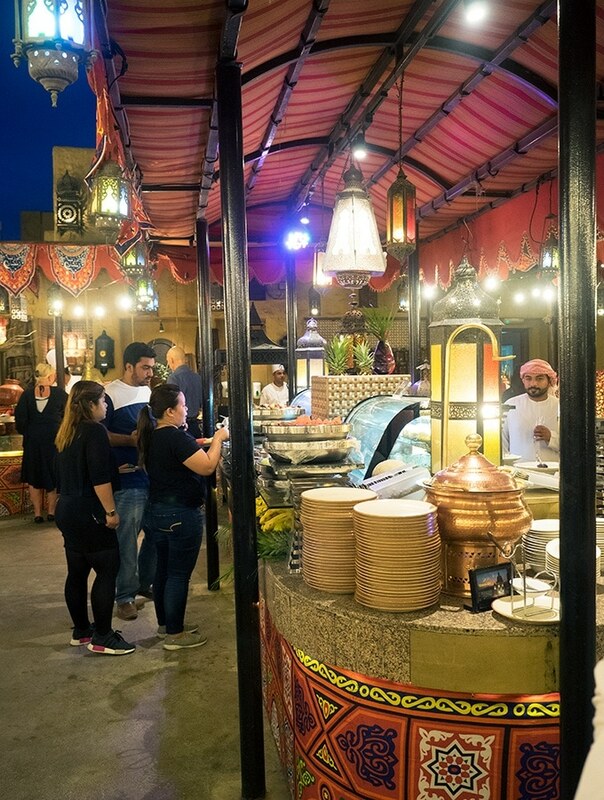 If you are staying at Bab Al Shams (like we were) it is a short buggy trip to the restaurant. If driving, there is ample parking available. From the moment I arrived, I was whisked away to another time, another place, another world. Al Hadheerah is the polar opposite of the high rise metropolis of Dubai. 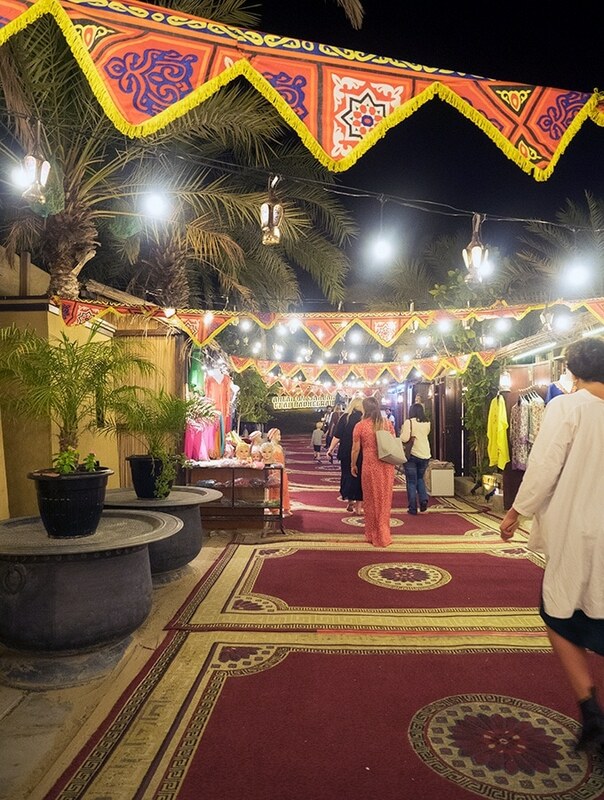 On arrival you walk through a souk (market). 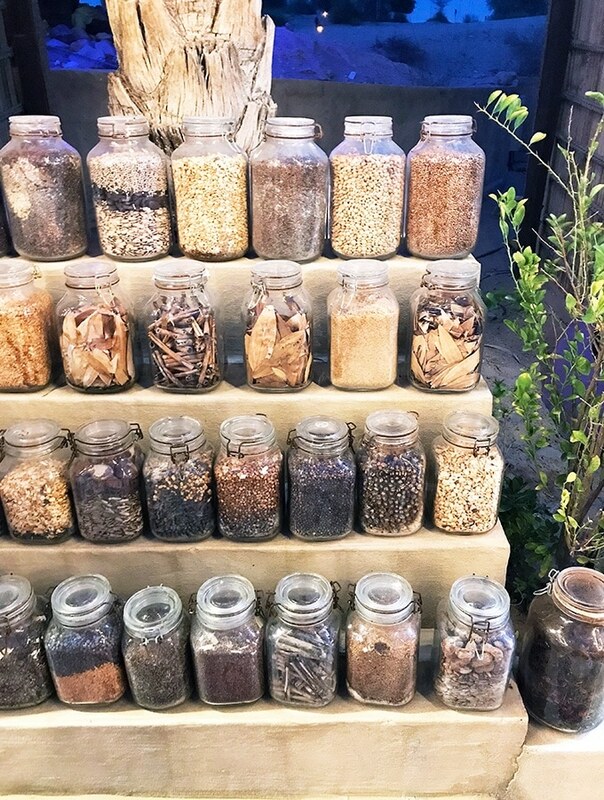 There are jars of dried herbs and spices, shops selling clothing, tourist souvenirs and other goods. It’s not just a case of walking up to the restaurant door and entering. 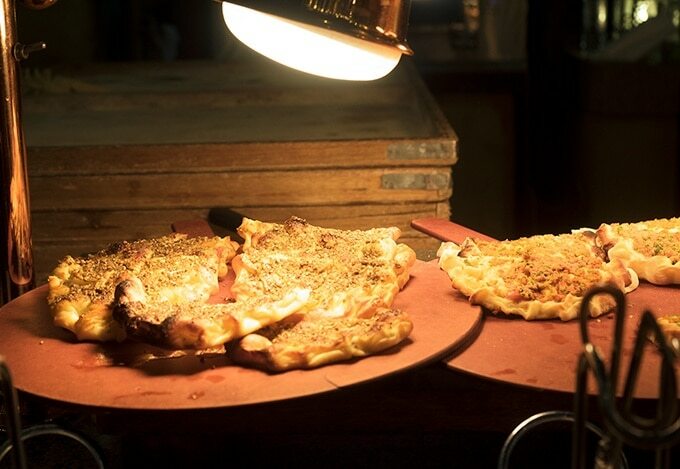 The walk through the market is a relatively quiet one and a contrast to what is waiting for you in the restaurant. 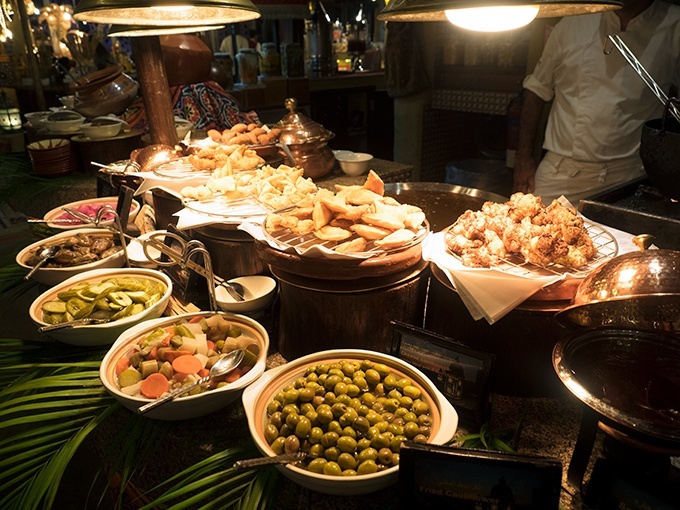 You are greeted with a Middle Eastern buffet fit for a king, or in this instance, it really should be a sheikh. 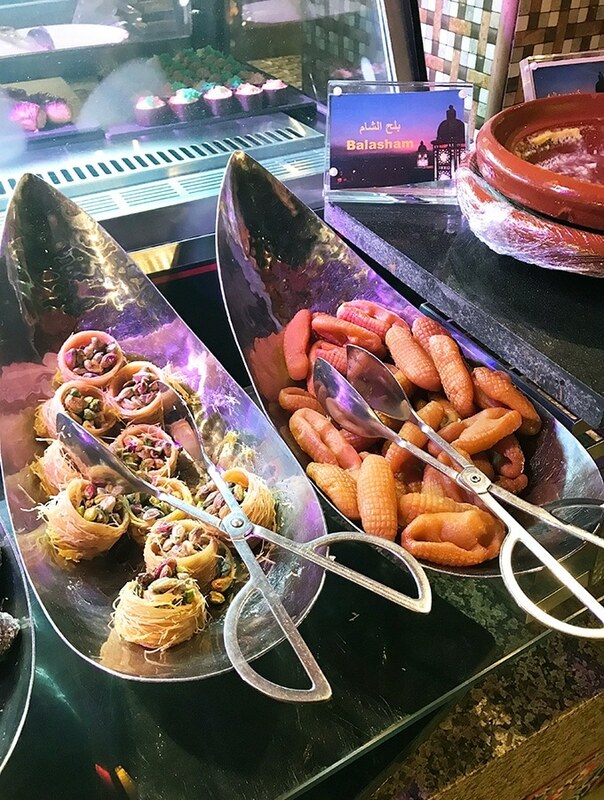 Al Hadheerah is unlike any buffet I have visited before. It is a feast of smells, sounds and action. 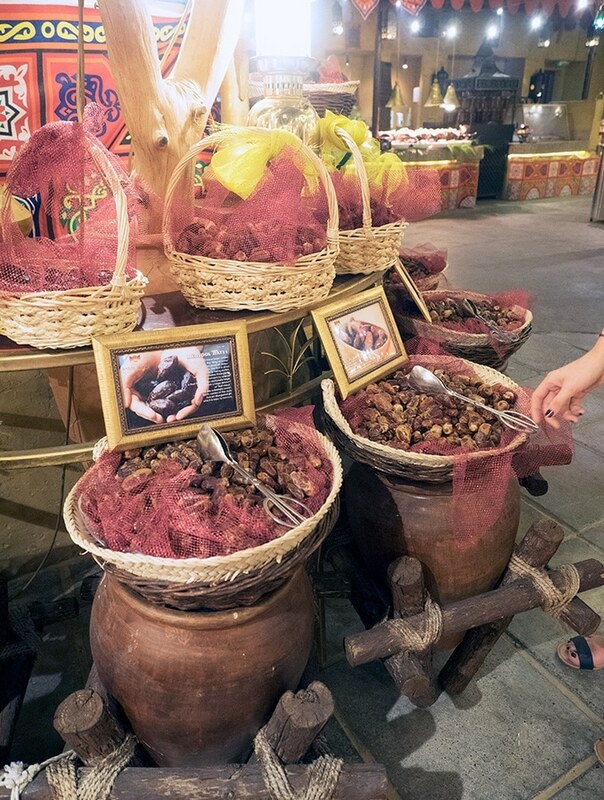 You walk into a bustling souk filled with food and Arabic ambience. 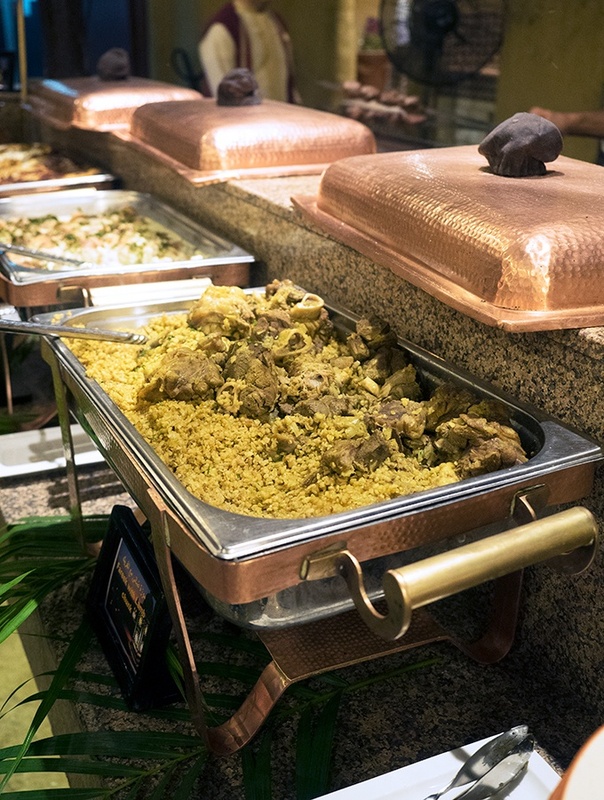 The buffet is extensive and also has 10 live cooking stations. 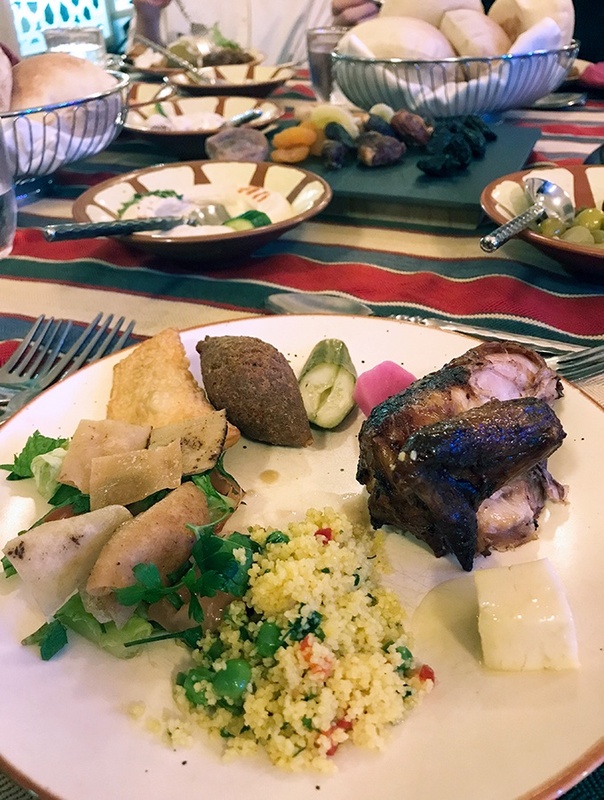 No matter what Middle Eastern cuisine tantalises your taste buds, they have you covered; Emirati, Egyptian, Syrian, Lebanese, Jordanian, Iraqi, Moroccan, Omani and Iranian. 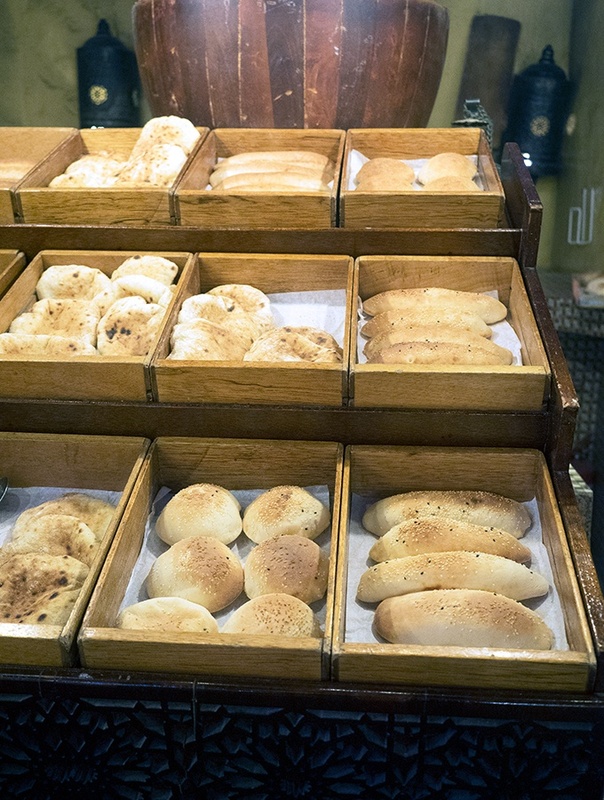 On top of this, there is a range of international, oriental and Middle Eastern desserts. There is so much happening, and we are given a guided tour of what is available on our way to our table. It is hard to take it all in, and I don’t. But at least it helps me form a semi plan of attack when I come back. 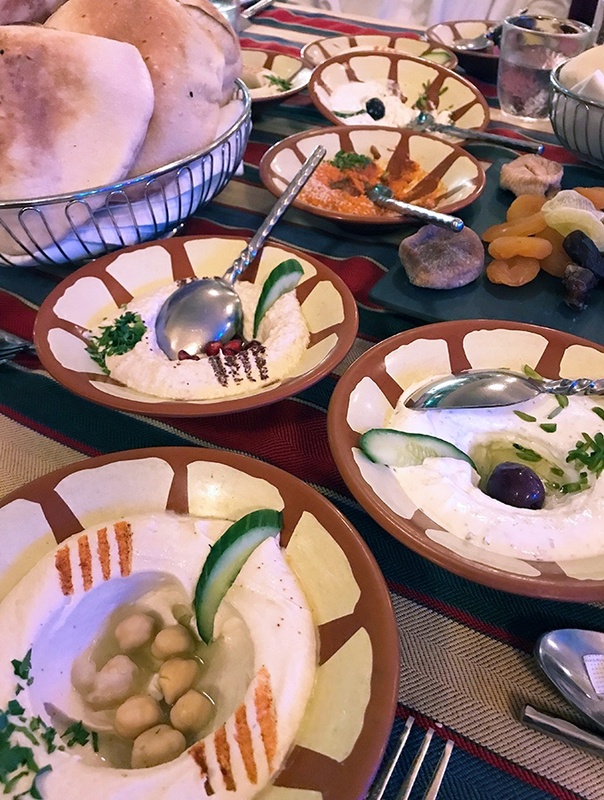 On arrival at our table it is laden with various dips, pickles, dates and freshly baked flatbread. I could have happily just eaten this for dinner. As we start to dig in we are given sage advice to pace ourselves as there is a lot to eat. Even if you wanted to try every dish being offered, there is no way your stomach could cope with a mouthful of each. The range of dishes on offer is plain flabbergasting. We all make multiple trips. Completely full I notice some delicious looking grilled prawns on one of my dining companion’s plate. I must have walked around the area at least 10 times and didn’t even notice them. 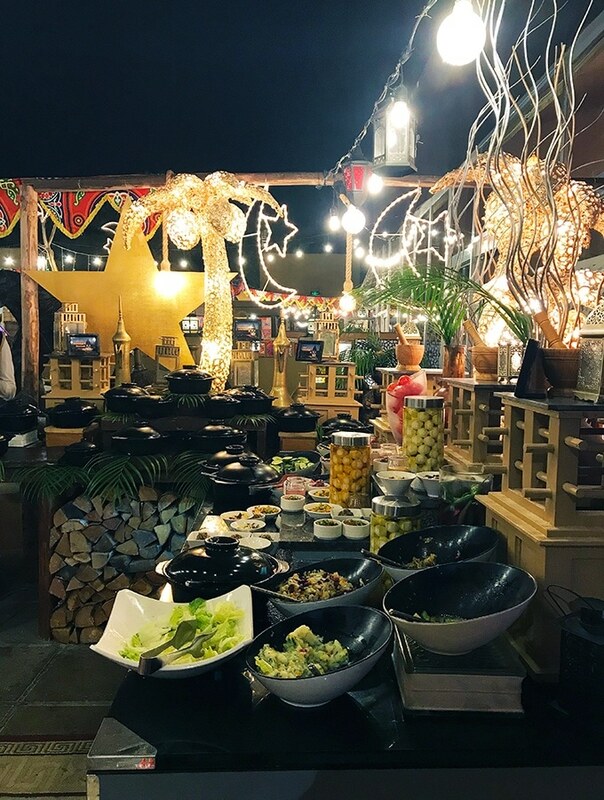 The set up at Al Hadheerah Desert Restaurant is a little different to normal when we visit. It is Ramadan and the tables and chairs are situated inside the biggest tent I have ever seen. Normally this would be all outdoors with the crystal clear night sky as your ceiling. The tent is that enormous that we didn’t even realise it was a temporary tent or even a tent at all! An incredibly high ceiling, glass doors, windows and chandlers all helped to create a very permanent non tent feeling. 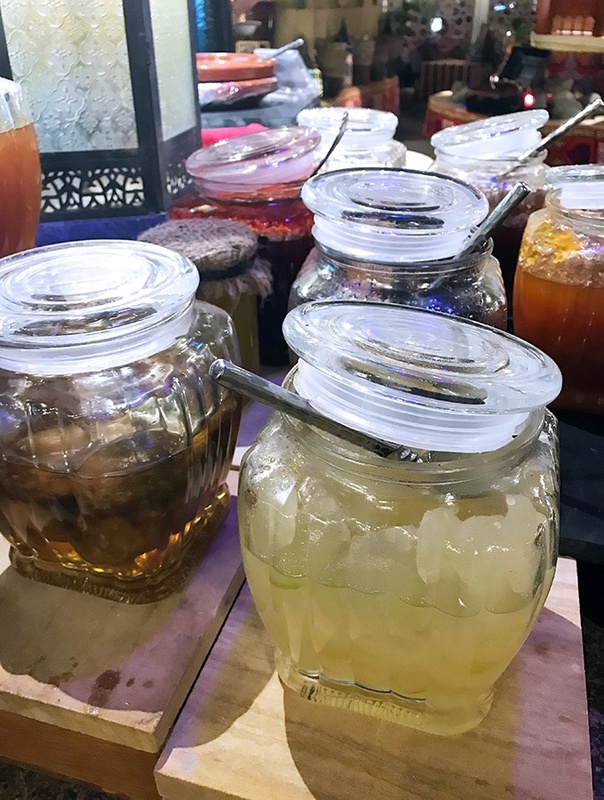 The million dollar question, is alcohol available at Al Hadheerah? Yes, they do serve alcohol, but it is not included in the cost of your buffet (non alcoholic drinks are included). In addition to food, Al Hadheerah offers entertainment. Due to being awake for around 22 hours we just didn’t last the distance to watch the performances. This was a shame as during Ramadan there is a live heritage camel and horse show. We did, however, get to enjoy live Oud and Qanoun music, plus happy birthday sang in Arabic many more times than I personally needed to hear. I will never be able to sing happy birthday again without a timely inserted “cha cha cha”. 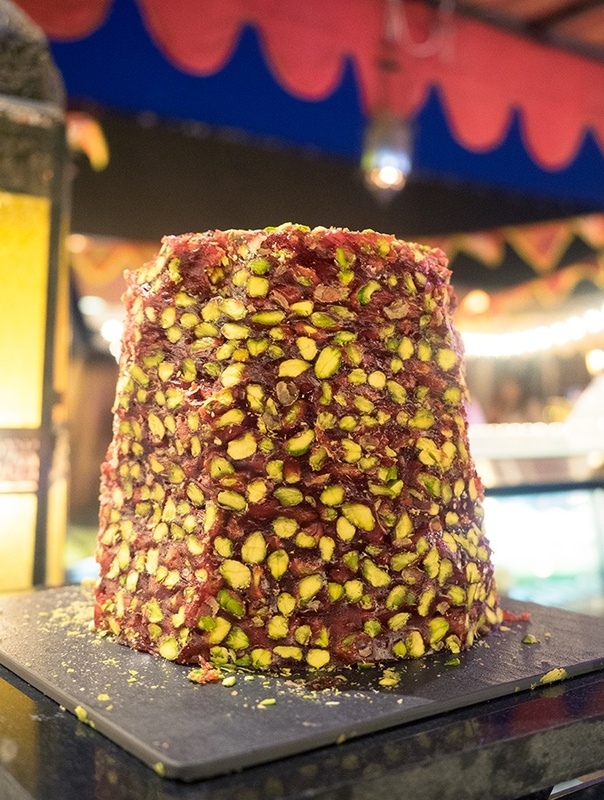 Due to Ramadan, it was a subdued entertainment offering compared to their normal line up which also includes belly dancers. If you are lucky enough to visit on Thursday or Friday nights there is a firework finale over the desert. Ordering an ice cream is no easy feat. You will be challenged to retrieve it from the end of the scooping stick with much laughter from onlookers. The food is generous. 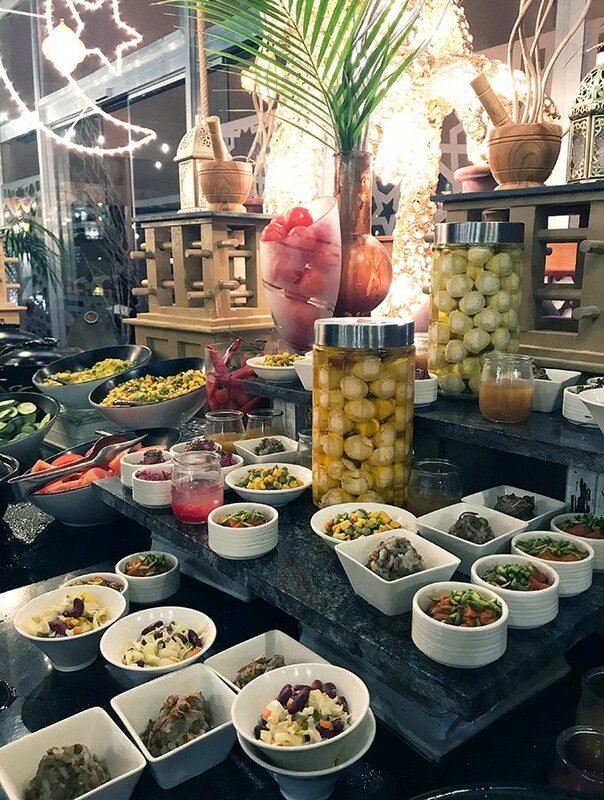 Not only the offerings at the live cooking stations and around the buffet, but the bowls of dips are replaced with full ones when you even look like you may finish them. Bread is also replenished, you are never without. Did I enjoy my visit to Al Hadheerah? For a buffet (which I am usually not a fan) it was incredible. 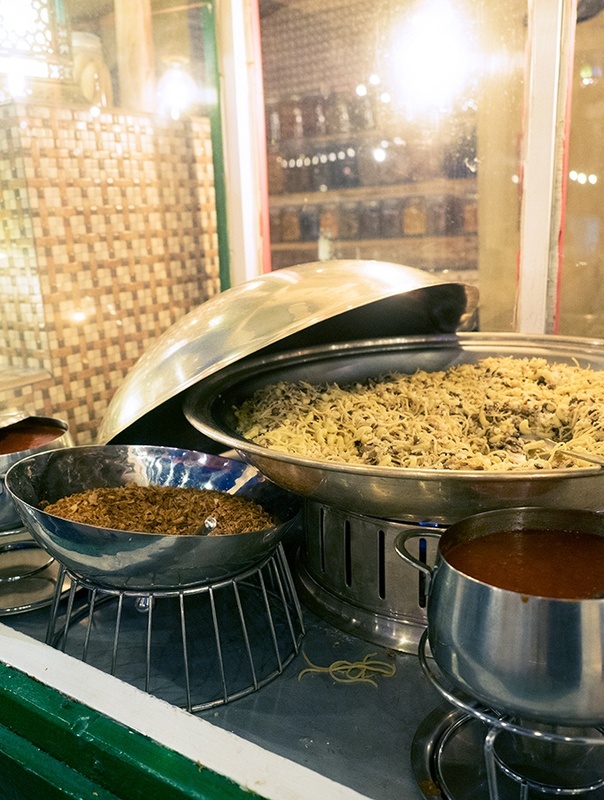 You won’t be stuck for something to eat, plus it is a great way to get to know Middle Eastern dishes. 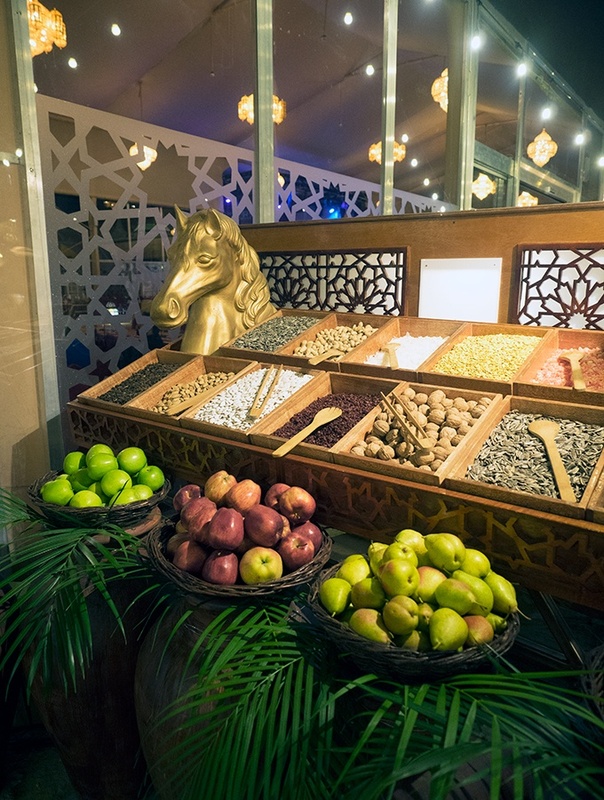 Al Hadheerah isn’t just a meal, it is an Arabian experience. Belly Rumbles travelled as a guest of Dubai Tourism, but all opinions remain her own. Must try dish: Ice Cream! If only for the entertainment value of trying to catch it. I miss the spices of Dubai plus add in all the buffets. The food looks amazing. I wonder how I missed this in my two months in Dubai. I need to go back here and eat here. So many types of bead to try. I love that you walk through a market to get here and the decor seems perfect. This would be a great way to try all the different foods! 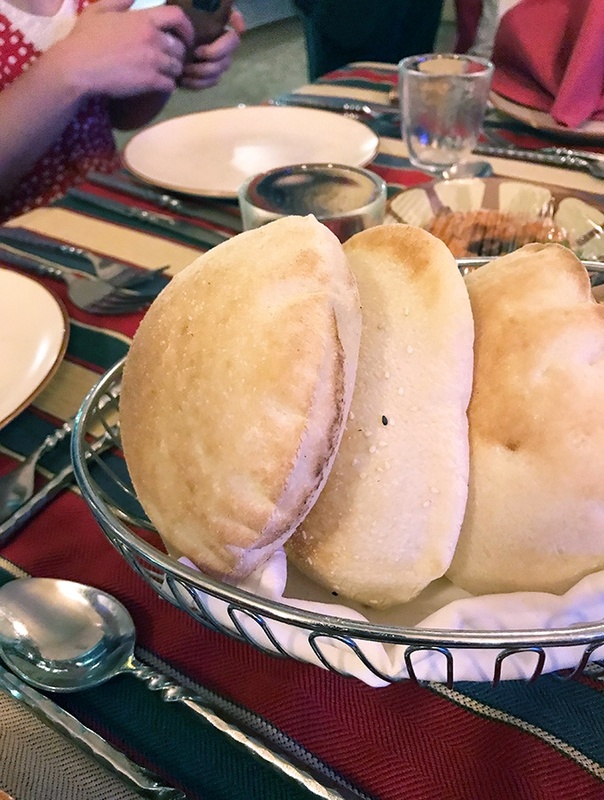 I recently visited Dubai and spend a day in desert also but this Al Hadheerah restaurant is far suprioir to where we went. 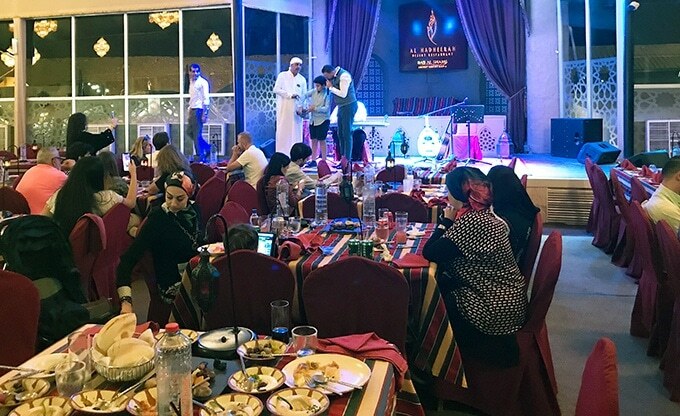 Al Hadheerah Dubai Restaurant is really lavish and it is so beautifully decorated. Spread is so huge. I love these kind of Ice Cream vendors and it’s really a fun activity to retrieve your ice cream from them. I am sure you guys followed the sage advice and enjoyed your food at slow pace. Al Hadheerah Restaurant is so different from the high risen ones in Dubai. I loved its entrance and the way spices, souk market is put up. The food looks so tempting. Fireworks must be like a topping. I would love to visit this place foe sure. Thanks for sharing and great pictures. Wow What a wonderful place to have great food. And live Oud and Qanoun music with food sounds like a must have experience. Very authentic ambiance. Retrieving ice cream sounds so much fun. 🙂 Looking forward to such an experience some day soon. We did a desert adventure when were were in Dubai and were a bit disappointed. We said we would and stay in the desert the next time. 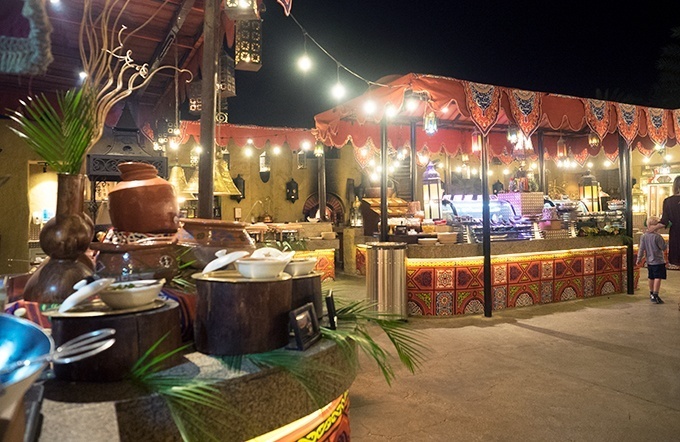 Maybe we will try Al Hadheerah Desert Restaurant and see what the Bar Al Shams Resort looks like. 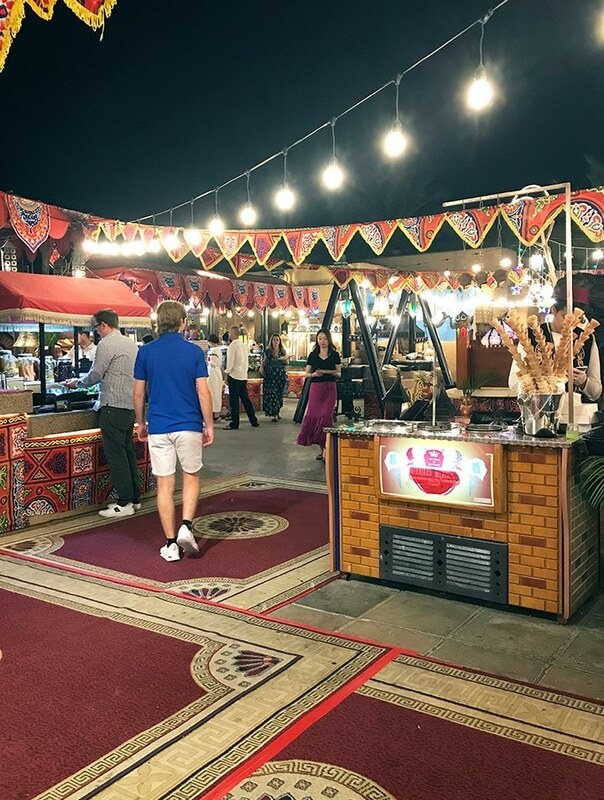 The souk looks like a great way to start the visit. With 10 different cooking stations I am sure I could find something I liked. Your food pics looked quite varied. A visit with fireworks would be great. I will keep this in mind for a return visit to Dubai. I live in Dubai and Bab Al Shams is one of my favourite desert resorts in the UAE! 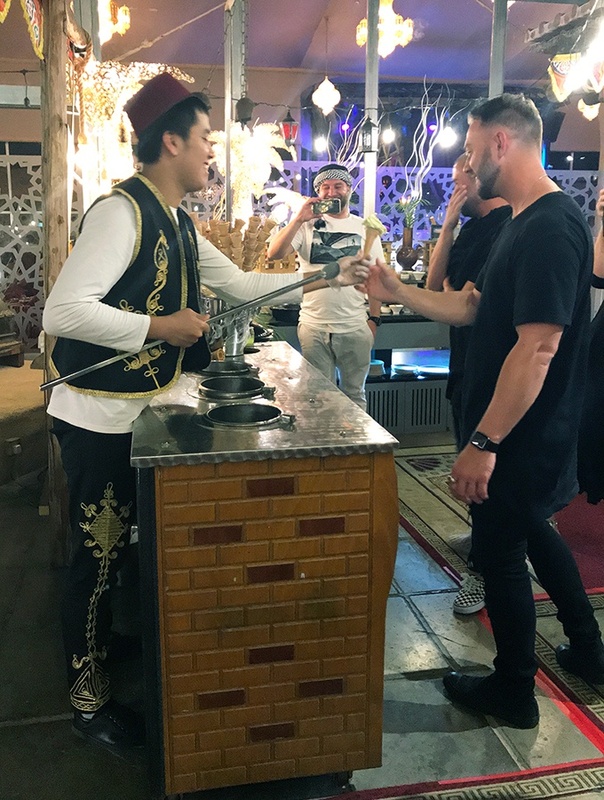 We visit there very often, especially during the cooler months, to enjoy a drink atop their rooftop restaurant, overlooking the desert. 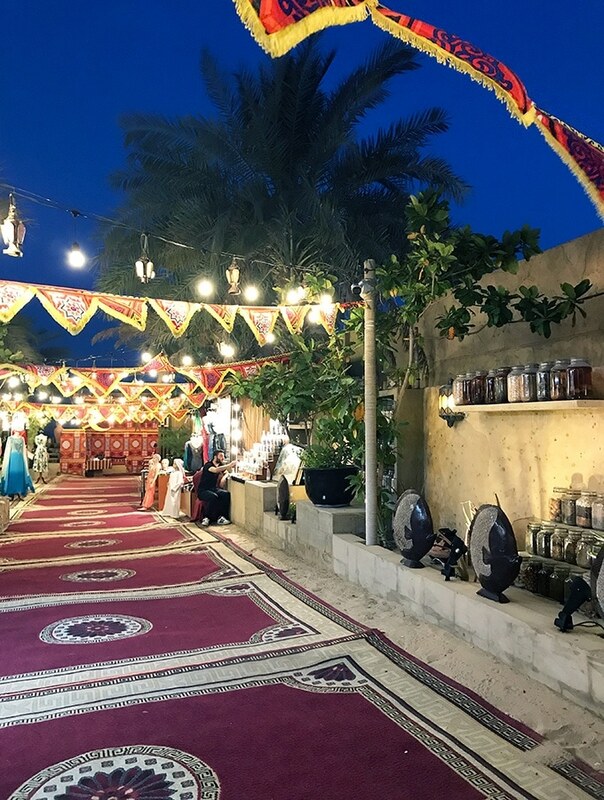 I have also visited Al Hadheera on several occasions, mostly to take our family members for a truly authentic Arabian experience and I absolutely love that place! Good ambiance, superb food, overall amazing experience for someone looking for local, cultural things to do here. Al Hadheerah is indeed unique. Also, I guess that because of Ramadan there was special food too available. But even then the buffet spread is massive, to say the least. 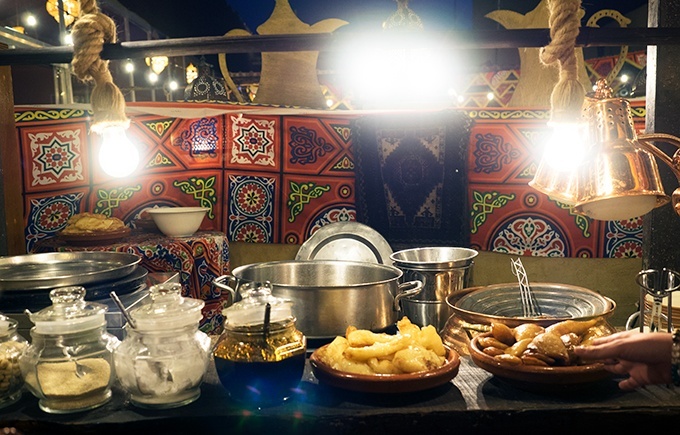 I also like the layout of the restaurant giving an ambience of a traditional souk. The fun part, of course, seems to be catching the ice cream!